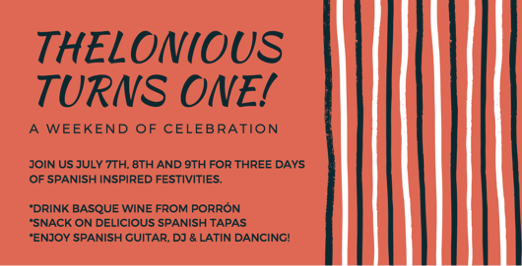 Thelonious Wines, the Pearl District’s new favorite wine shop and wine bar, invites you to celebrate its first anniversary with a weekend of festivities. 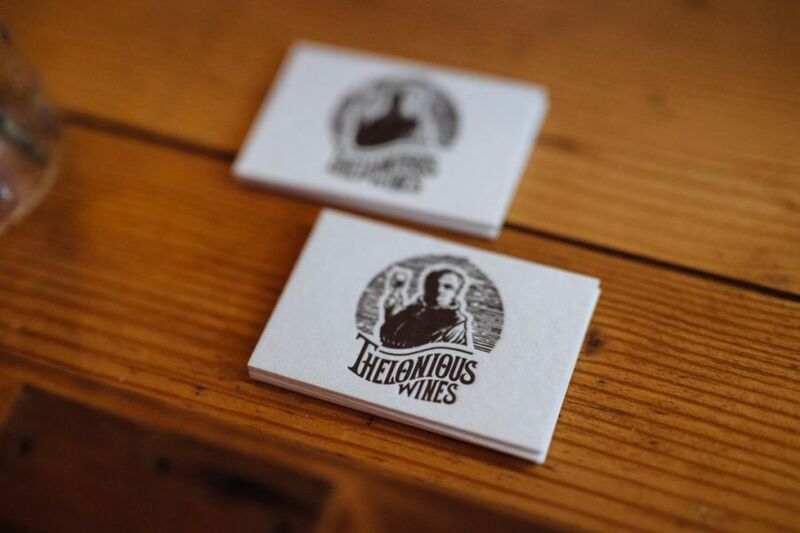 On July 7th, 8th, and 9th, Thelonious will be hosting a series of special events and will be drinking and dancing through the weekend. The anniversary coincides with Sanfermines, the famous Spanish Festival also known as the ‘Running of the Bulls.’ The Spanish-themed weekend will focus on Basque region traditions, flavors and party favors. Friday night kicks off the celebrations with a free wine tasting of Basque wines—red, white, rosé and cider—from 5-8pm. Saturday features live Spanish guitar music from 5-8pm, followed by latin music and dance instruction from 9pm to close. Sangria Sunday is a day party, with a DJ from 2-5 in the afternoon, $5 Sangria all day, and plenty of bubbly. All weekend guest will partake in a special menu of Basque-inspired Spanish tapas and drink specials. Those wearing all white will receive a free red waist sash (while supplies last) to complete the Sanfermin ensemble! Additionally, guests will have the opportunity to share in the Basque tradition of drinking wine from a porrón. If you’ve never seen a porrón party, you don’t want to miss out.